Yoga4Cats wouldn't be possible without the instructors who have generously volunteered to lead the practice. Thank you for supporting this cause and giving time and energy for Yoga4Cats! Chuck Beck completed his 200 hour RYT training through Amara Yoga and Arts in July 2014 and has continued his training at events through the Ido Portal method and with Yuri Marmerstein. He is a piano technician and woodworker applying the functional needs of structure, balance and beauty at work and in yoga classes. His wife Sarah is a Veterinary Technician who often fosters kittens through MCAC. Chuck is excited to see you at the Beer & Yoga4Cats practice in September! Adrienne Gurley was the instructor for Glow Yoga4Cats on Friday the 13th (of October 2017). She also led the practice for Yoga4Cats Be My Meowentine in February 2017. Adrienne completed her 200 hour yoga teacher training through Multi Style Yoga International. She has completed additional trainings with Buti Yoga and Pranakriya Yoga. Buti yoga is the practice she is most passionate about. Adrienne can be found at The Studio Yoga in Decatur, IL. Tanya Kelly was the instructor for Yoga4Cats in June 2016. She also assisted with Yoga4Cats A Black Cat Affair in October 2015. Tanya Kelly is an RYT200 yoga teacher who studied in the Pranakriya tradition and received her certification in 2013. She truly enjoys learning and has continued her study of Yoga and other body movement practices. Additional advanced trainings have included Restorative yoga, Restorative exercise and many others. Tanya was born a lover of animals and has shared her life with many cat and dog companions over the years. She has witnessed the "power" of Yoga4Cats and the many wonderful changes it has brought! She is excited to be guiding the Yoga4Cats practice in June. Practice with Tanya at Yoga hOMe Studio & Ayurveda Centre in Decatur, IL. 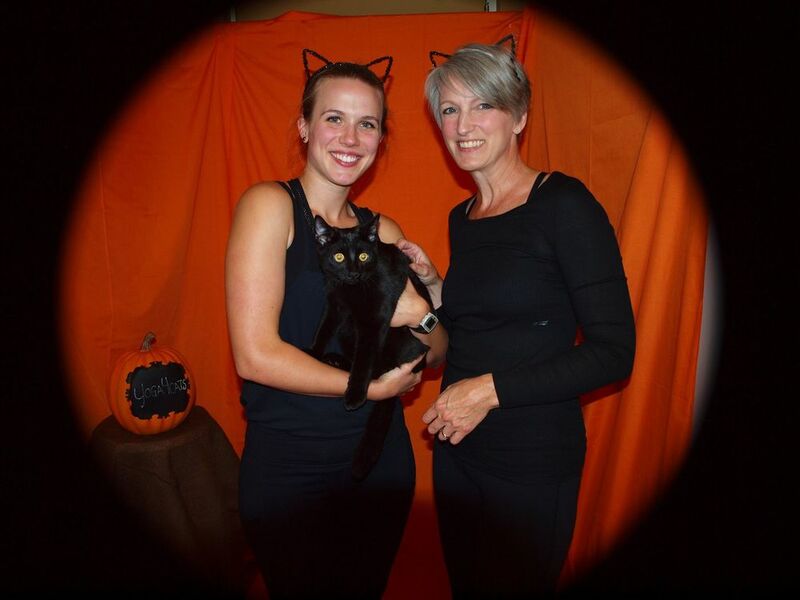 Olivia Heisner was the instructor for Yoga4Cats A Black Cat Affair in October 2015. Olivia Heisner is a RYT200 yoga teacher. 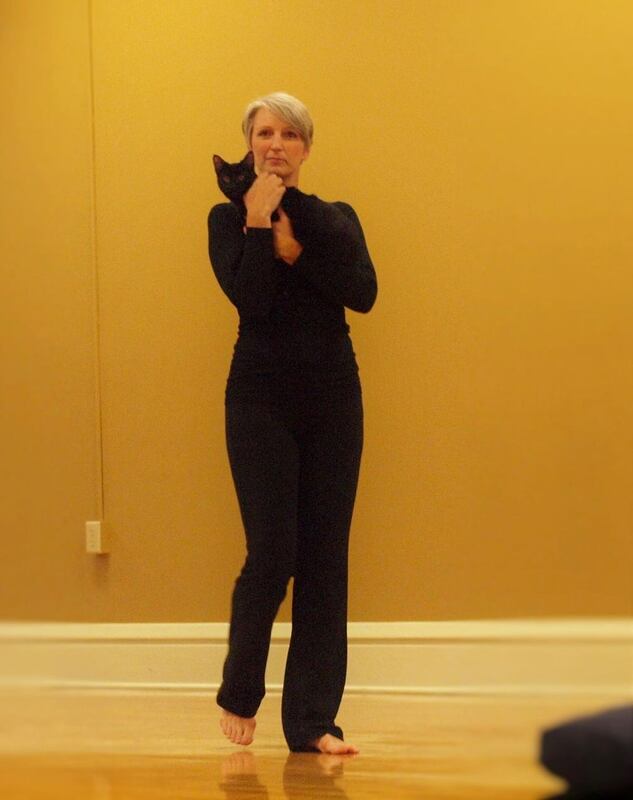 Connie Pease was the instructor for the first ever Yoga4Cats! Connie is an E-RYT200 Yoga Alliance Certified Teacher. She is the proprietor of Yoga at Connie's in Latham, IL. Yoga4Cats is a 501(c)(3) nonprofit animal-related public charity and a State of Illinois licensed foster-based animal rescue. Donations are tax deductible under IRC Section 170. Copyright © 2016 Yoga4Cats, All Rights Reserved.